By drbubb, February 11, 2016 in Campaign 2016 threads: "Discernment"
WASHINGTON—The State Department completed its release of former Secretary of State Hillary Clinton's email archive on Monday, making public the final batch of her online correspondence. Three weeks ago, the State Department designated 22 of previously reviewed emails “top secret” – the first time it has deemed any of Clinton’s emails to be classified at a level that can cause “exceptionally grave” damage to national security if disclosed. The 22 emails will not be released to the public. The department is releasing other classified emails with some redactions. Donald J. Trump wins Alabama, Massachusetts, Tennessee and Georgia. 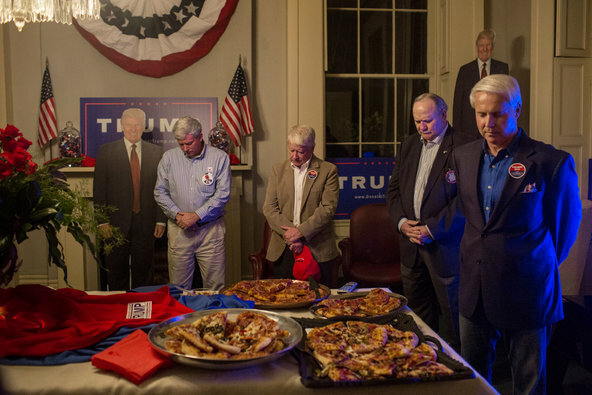 Mark Jennings, left, Tommy Shaw, Chuck Sanders and Perry Hooper prayed before eating pizza on Tuesday at a returns watch party in Montgomery, Ala.
"Donald J. Trump and Senator Marco Rubio were locked in a battle for first and second place in the Virginia Republican primary on Tuesday, according to the exit poll." "Mr. Rubio won support from women, college graduates, higher-income voters, moderates, late deciders, and residents of the Washington suburbs. He was also favored by those who prioritized wining in November and experience in politics...."
Yet, Rubio is being crushed like an empty beer can - and losing even in VA. I don't suppose CC is used to playing second fiddle. But those captions are (obviously) an attempt by the establishment to control the narrative. Whether or not Donald Trump ultimately succeeds in winning the White House, historians are likely to rank him as the most consequential presidential candidate of at least the past half-century. He has already transformed the tone and temper of American political life. 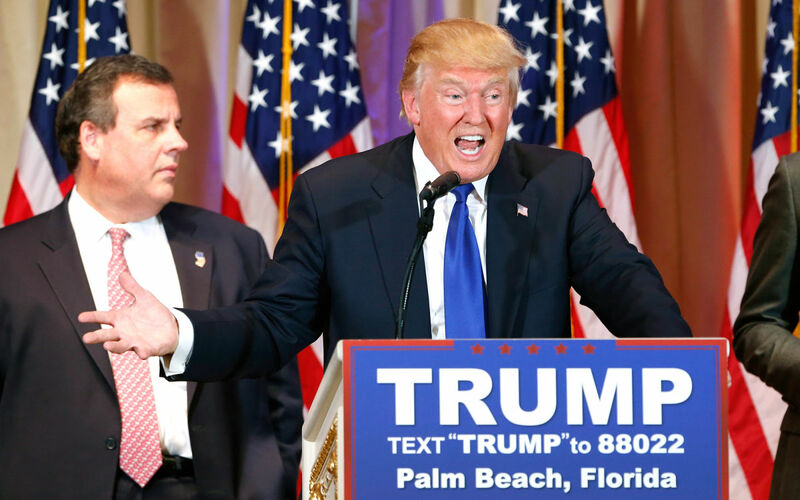 If he becomes the Republican nominee, he will demolish its structural underpinnings as well. Should he prevail in November, his election will alter its very fabric in ways likely to prove irreversible. Whether Trump ever delivers on his promise to “Make America Great Again,” he is already transforming American democratic practice. In contrast to the universally reviled Martin Shkreli, however, Trump has cultivated a mass following that appears impervious to his missteps, miscues, and misstatements. What Trump actually believes – whether he believes in anything apart from big, splashy self-display – is largely unknown and probably beside the point. Trumpism is not a program or an ideology. It is an attitude or pose that feeds off of, and then reinforces, widespread anger and alienation. as the elites go on fightng wars that benefit no one but Israel and the weapon makes. Trump has tapped into that anger better than anyone else. 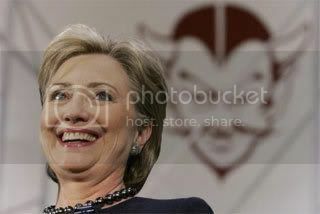 Hillary's slogan should be: "WE are going to swallow America whole again." Interesting to see him saying this. Roger Stone has said that Newt Gingrich might be a good VP choice for Trump. I would prefer someone like Cynthia McKinnon or Jessie Ventura, who are true outsiders. / In fact, I wonder who is the highest ranking woman in the military, who ha political savvy? Here's a quick rundown of who has compared the Republican frontrunner to Nazi leader Adolf Hitler since Friday. It started Friday night, with Bill Maher on HBO's “Real Time. In the photo the BBC chose: Trump looks angry and defeated - though he won BOTH big states. Hillary won one, and is still neck-and-neck with Sanders in the second. > elsewhere you can read: "Sen. Bernie Sanders leads in early returns." Donald Trump has won two more states, Michigan and Mississippi, in his bid for the White House. Democratic front-runner Hillary Clinton won her party's primary in Mississippi, but her battle with Bernie Sanders in Michigan is too close to call. The Republicans are also voting in Idaho and Hawaii. The four state contests on Tuesday help choose the candidates from each party who will compete in November's presidential election. Billionaire businessman Mr Trump is well ahead in the all-important delegate count, but a poor debate performance and some recent losses to Texas Senator Ted Cruz have raised questions about the solidity of his lead. Could Trump's vulgarity cost him? How do the Democratic campaign attack machines work? Hillary Clinton's campaign machinery is examined. 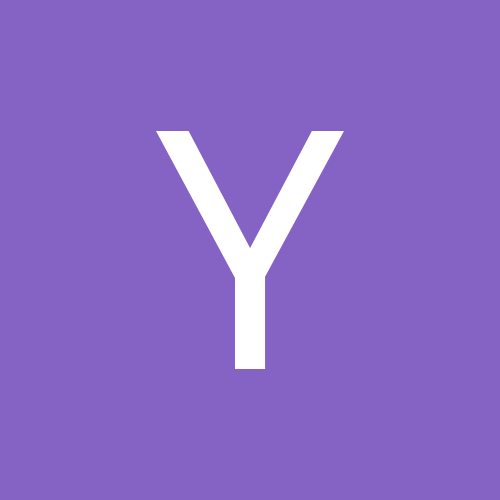 Ana Kasparian, Cenk Uygur, John Iadarola and Ben Mankiewicz of The Young Turks discuss. Do you agree with TYT's opinion? Tell us what you think in the comment section below. Is it really: "politics well-played" ??? Why can people not see her lies, and inauthenticity? 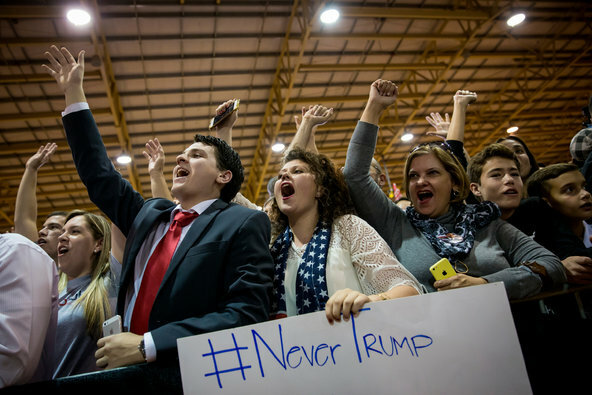 Let us now address the greatest American mystery at the moment: what motivates the supporters of Republican presidential candidate Donald Trump? Last week, I decided to watch several hours of Trump speeches for myself. I saw the man ramble and boast and threaten and even seem to gloat when protesters were ejected from the arenas in which he spoke. I was disgusted by these things, as I have been disgusted by Trump for 20 years. But I also noticed something surprising. In each of the speeches I watched, Trump spent a good part of his time talking about an entirely legitimate issue, one that could even be called leftwing. Bernie Sanders: Whites Don't Know Poverty! Let;s wake them up with our votes! And maybe they will learn something when they are out of (protected Zio jobs) on the streets. There are 367 Republican delegates at stake Tuesday, far fewer than the 595 two weeks ago on Super Tuesday. 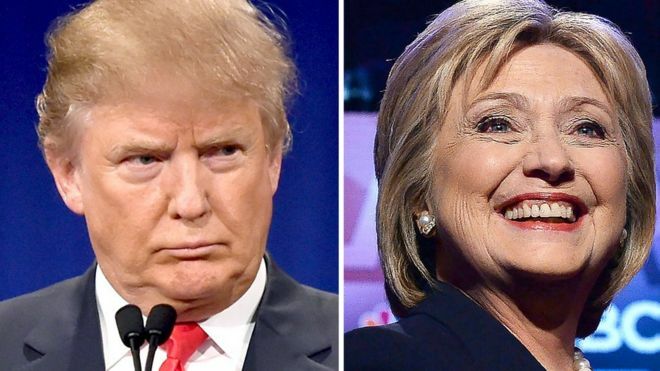 But Tuesday nonetheless has the potential to decide whether Donald Trump has a clear path to the nomination. “This is how Donald Trump talks about our mothers, our sisters, our daughters,” they say. Mrs. Clinton, who has struggled to connect to white working-class voters in the pivotal Midwestern states, faced intense criticism over comments she made in Columbus, Ohio, on Sunday. “We’re going to put a lot of coal miners and coal companies out of business,” she said, in explaining her plan to create clean energy jobs. America Rising, an anti-Clinton “super PAC,” said the comment showed a “brazen disregard for the men and women who help power America.” A spokesman for Mrs. Clinton said the comments, which she made while discussing her plan to bring jobs back to coal country, were misconstrued. "Mrs. Clinton said the comments... were misconstrued." Do they give Trump the same chance? NO! 1) Primaries are like congressional midterms. They draw a much smaller number of voters with a much more defined agenda. Name recognition, the kind that Trump has enjoyed for years, is more crucial. The primary and midterm voters are also usually angrier than the average presidential general election voter..
People need to wake up, and see how they are being manipulated. Remember how Huffpost put Trump stories in the Entertainment section? That's back when Trump was the only one straying from the talking point of how bad ISIS was. Stop the Wars ! Stop Zio manipulation of the political discussion ! Is this comment so bad? Marco Rubio suspended his presidential campaign after Donald Trump destroyed him in his home state, but the Republican frontrunner couldn't resist twisting the knife one last time. After praising the Florida senator during his own celebratory address at his Mar-a-Lago resort in Palm Beach, Trump shared Rubio's bold declaration last week that the winner of the state's primary would go on to win the party's nomination. "I believe with all my heart that the winner of the Florida primary next Tuesday will be the nominee of the Republican Party," Rubio told supporters on March 8, following crushing losses in Mississippi and Michigan. "Thanks Marco We Agree," the on-screen text reads in the video tweeted by Trump. Trump has a lot of corrupt individuals filling their trousers with poo. Therefore I think we can expect nothing but "attack" news for him now. Any opportunity they can find to talk the agenda. This campaign turning into a real battle of the Titans. With little ol Trump sat in the middle getting shot at from all sides. Be worth noting any media sites that are predominantly pro Trump and anti Hitlery. Probably about as good a signal we can get that they are at least a little trustworthy. - Are there any? Excoriated for his disastrous TV interview on Sunday. Phrases like “train wreck,” “off the rails” and “disaster” were used to describe his appearance. In other words, if it had not been obvious to him before this weekend, his political career is essentially over. Duke asks: "Is there a single media pundit that hates Trump that is not Jewish? Actually, this would be a tiny problem for Trump if there were not so many Jewish media pundits!